Home Posts Tagged "Hair Removal For Men"
Here in this blog post we will be discussing some myths and facts about laser hair removal for men and women that will assist you in determining whether the procedure is right for you or not. Fact: Sorry to disappoint you, but this is not true. In just one session, you can’t get rid of all facial or body hair. Hairs grow in different cycles and in different timings. While some hairs grow actively, others remain in dormant state. Laser beams target only the actively growing hairs and not the follicles that are about to develop new hairs. At least 6-7 sessions are required to get maximum results. Fact: All the FDA-accredited laser systems for hair removal for women and men have been cleared by the U.S. FDA for not emitting harmful radiations. Laser beams work by transferring heat energy to hair follicles to heat them up to a certain point where their ability to regrow is disabled permanently. Fact: Laser hair removal may not be very effective for everyone because of the fact that everybody has different hair texture and type. Lasers are most effective on coarse, thick hair as compared to fine light colored hair. Other than this, your skin color and type also play an important role in determining the effectiveness of the treatment. Light tone with dark thick hairs is best targeted by all types of laser. Fact: This is not true. Some lasers encourage hair growth when used to treat fine hair. However, everybody has his or her own hair growth pattern that keeps changing over time. It can change anytime due to any external or internal factor. Due to hormonal changes, some people start shedding hair as they age, while others grow more hair. 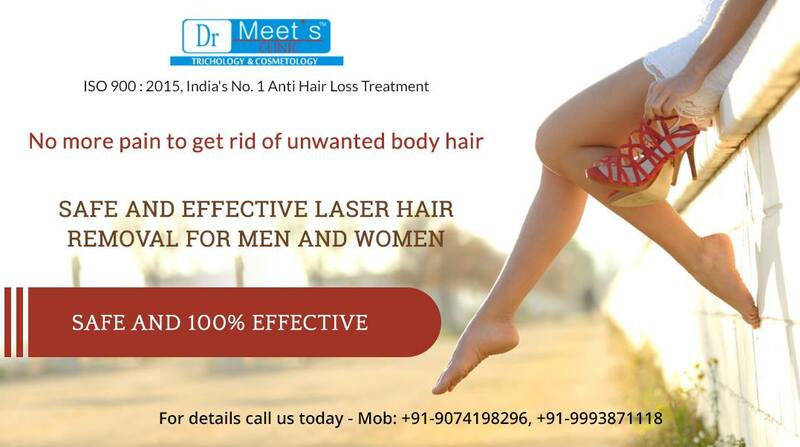 So, one can never claim that post a laser hair removal treatment more hair have grown. Fact: Hair removal for both men and women using laser is a very safe procedure that hardly causes any serious issues or side effect. However, it is important to mention here that the safety of procedure depends on the type of laser system that your provider uses for removing body hair. The FDA has approved some laser systems keeping in mind the safety of patients. As long as your dermatologist uses an FDA-accredited laser system there are lesser chances of developing any issues during and after the treatment. 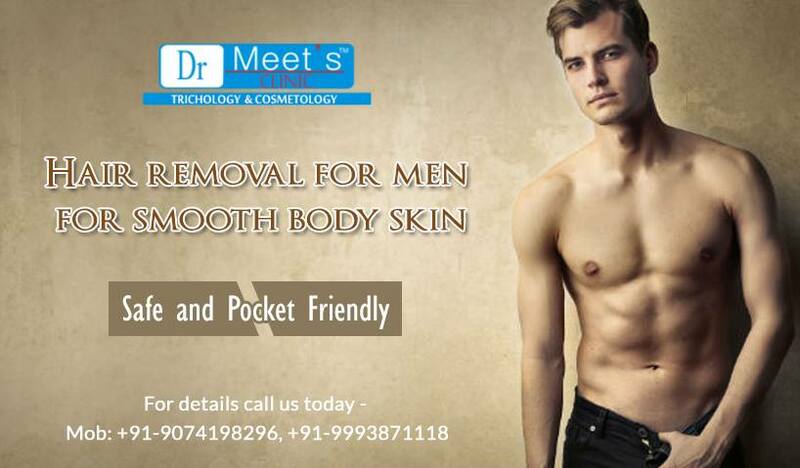 To make an appointment for Hair Removal for Women and Hair Removal For men, feel free to contact us.